The Washington Redskins will be well represented at this year’s Pro Bowl. The NFL announced Tuesday that four Redskins have been selected to play in the league’s all-star game in Orlando: left tackle Trent Williams, linebacker Ryan Kerrigan, tight end Jordan Reed and right guard Brandon Scherff. It’s the most Pro Bowlers the Redskins have had since 2012, when their roster boasted five Pro Bowl players. Washington has had just three Pro Bowl nods over the previous two seasons. This is Williams’s fifth straight Pro Bowl selection, not surprising as he has been one of the best left tackles since he entered the league in 2010. Although he was suspended four games for violating the league’s substance abuse policy, Williams has been playing arguably the best football of his career this season on an offensive line that’s allowed the third-fewest sacks in the NFL (19). Scherff, in his second season, earned his first Pro Bowl selection. The fifth overall pick in the 2015 draft has quickly established himself as one of the top guards in the league. 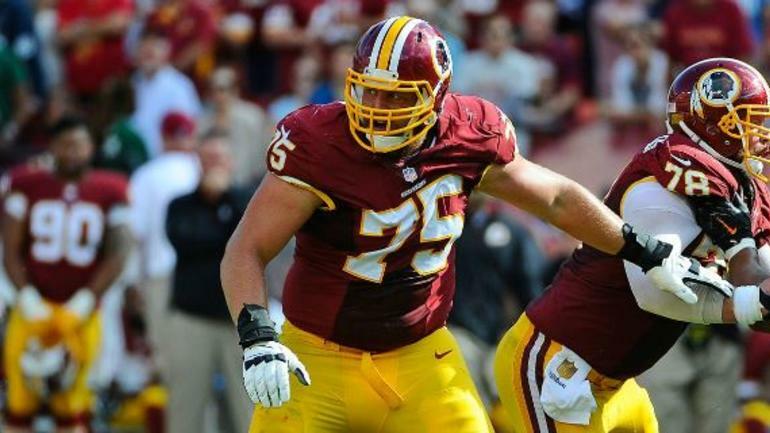 It’s the first time the Redskins have had two offensive linemen named to the Pro Bowl since 1991, when Jim Lachey and Mark Schlereth were Pro Bowl selections. Kerrigan was selected to participate in his second Pro Bowl game and his first since 2012. He received a decrease in playing time when Washington shifted to a three-man rotation at outside linebacker, but Kerrigan’s sacks have increased as a result. He currently has 11 sacks, tied for the fifth most in the league, and is just 2½ sacks away from tying his career high set in 2014 (13½). Kerrigan was a Pro Bowl alternate last year along with Reed, who received his first career Pro Bowl nod Tuesday. Reed has been one of the top-catching tight ends over the last two years and one of the biggest mismatches in the league. Despite missing three games because of a concussion and a shoulder injury, Reed has 61 receptions for 646 yards and five touchdowns in 11 games. He’s averaging 58.7 receiving yards per game, which ranks fourth among tight ends. Reed is Washington’s first tight end to make the Pro Bowl since Chris Cooley in 2008. Quarterback Kirk Cousins, cornerback Josh Norman and wide receiver Jamison Crowder (as a return specialist) were named Pro Bowl alternates. Cousins was an alternate despite having the second-most passing yards (4,360) in the league. Norman, in his first season with the Redskins, has 14 pass breakups, one interception and two forced fumbles. Crowder returned his first career punt 85 yards for a touchdown in Week 5 against the Baltimore Ravens. He’s averaged 13 yards on 22 punt returns this season.